Large (Chinese?) 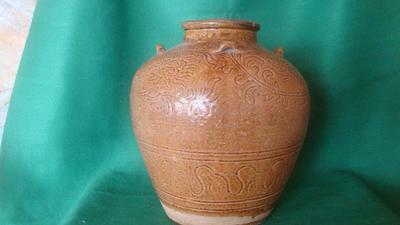 Jar from Borneo. I bought this large jar some time ago. Grateful for any information. Comments for Large (Chinese?) Jar from Borneo. Hi, I don't have enough experience with such jars to tell what or from when it is. It is suggested, however, that you upload a good picture of the bottom and perhaps a closeup of the glaze, for those who might be able to identify it.